We've all been waiting for it and it's finally here, the 2019 Tapia #18 Memorial Cup High School Tournament is this weekend! Our very own Boy's High School Varsity and JV Moose will face off against visiting teams from Bozeman, Idaho Falls, Sun Valley, Pinedale and Teton Valley. The games start on Friday morning at 11:30am and run through the weekend, culminating with championship games on Sunday at 11:00am for JV and 12:30pm for Varsity. 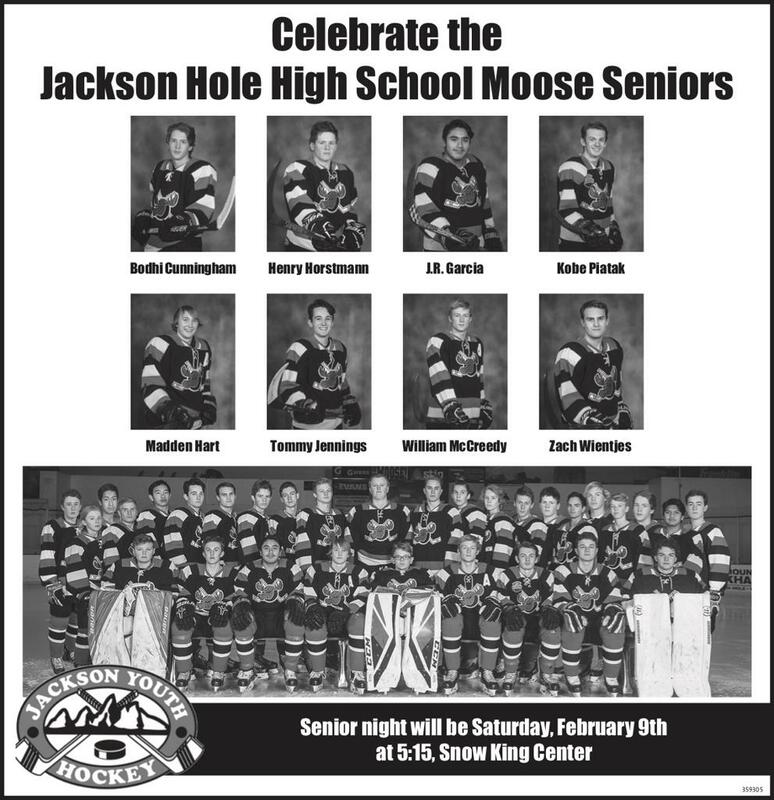 Please join us as we celebrate our graduating Seniors Bodhi Cunningham, Henry Horstmann, J. R. Garcia, Kobe Piatak, Madden Hart, Tommy Jennings, William McCreedy, and Zach Wientjes on Saturday afternoon at 5:15pm before the Varsity Moose vs Sun Valley game. All games at Snow King Sports and Events Center. Go Moose!